The adoption process is the start of a life-long relationship between birth parents, adoptive parents and a child. Starting with your initial inquiry, through the adoptive process, and for many years thereafter, we are committed to guiding you through the journey with expertise, experience, honest answers and the best support possible. The timeline below outlines the steps of the adoption process that you can expect when working with one of our agencies. When you call one of our agencies to indicate your interest in adoption, the process starts. Your initial inquiry does not obligate you in any way, and we will not pressure you. On the other hand, if you are eager and ready to start, the process can only go so fast. Your prompt participation in each step along the way, however, will help the process proceed as quickly and smoothly as possible. After your initial contact with the agency, we will invite you to fill out a preliminary application. Again, this informal application does not obligate you in any way; it is simply a way to determine your initial eligibility for the program. Be open and honest both on the application and in the personal interviews with your adoption social worker. Cooperate with the home study and required criminal background and protective service checks. A non-refundable application fee of $350 is due at the time you submit your formal application. This fee may increase if there are additional family members over the age of ten. Health Report: A physical exam within the past 12 months is required for all prospective parents and for every member of the household. Medical conditions under control such as high blood pressure or diabetes usually don’t prevent being approved to adopt, however, a serious health problem that affects life expectancy might. If you have serious health problems, it may be required for you to think through or actually make a legal plan for assuring your adopted child will continue to be cared for in the unfortunate circumstance that you would die before they reach adulthood. Criminal Background Check: All adults in the household must complete mandatory background checks at the local, state and federal levels; this will include fingerprints. Applicants whose state or federal records indicate they have been convicted of harming children are not eligible to adopt a child. Financial Statement: You will be asked to list the amount of your family's income, provide a budget, and provide a copy of an income tax return for the last one to two years, a paycheck stub, or a W-2 form. You don’t have to be wealthy or own a home to adopt. Financial assistance in the form of government subsidies is often available when adopting children with special needs. Personal References: You will be asked to supply names, addresses, and phone numbers of three to four individuals (including a pastoral reference) who can attest to your experience with children, the stability of your current marriage and household, and your emotional maturity. Good choices might include close friends, an employer, a former teacher, a coworker, a neighbor, or a leader of your faith community. Copies of legal documents: You will be asked to provide copies of your driver's license, marriage license, divorce decrees if applicable, birth certificates that prove you meet the minimum age requirement, and other legal documents relevant to your application to adopt. Out of respect for the confidentiality of your information, we only share your information with our agency, attorney, judge, KDHE. Your education fee is due prior to your first session. A major step in building your family through adoption is the home study, and it is conducted after you have submitted your formal application and attended your educational sessions. The home study begins with three to four meetings between the family and the social worker; one meeting will be held at the family's house to check for safety and environmental issues and the rest of the meetings are generally held at the agency office that is closest to the family's home. Both joint and individual interviews are often part of the process and may include children who currently live with you or those who live outside the home. It’s important that everyone who is a part of your family is ready for this experience, including yourself. If you feel that you or members of your household are not yet ready for a home study, you can ask to delay this step. The entire home study process can take between three to six months to complete; the home study fee is billed at the beginning of the process, and is due prior to getting a copy of the home study. Click here for more information about the home study process. Introduction: Introduce yourselves and offer any expressions of your appreciation to the expectant parent for considering you as adoptive parents for her child. Include a good professional looking portrait of you and your spouse (and children if you have any). About You as a Couple/Family: Share information about yourselves as a couple or family. What is your story? How did you meet? Why do you want to adopt? What are your values? What values do you want to instill in your children? About You as Individuals: Share about yourselves as individuals. You can each write your own section, or write about each other: what do you love about your spouse? Why do you think he/she would be a good parent? About Your Children/Pets: Share information about your children/pets. What do they love to do? How do you like to spend time with them? Family Background: Share information about the families you grew up with and the relationships you have with them. What values were you raised with? What values do you want to pass onto your child. About Your Home: Share information about your home, neighborhood and town. What are the schools like? What recreational activities are available? Include pictures if you can. Leisure Time: Share information about what you like to do for fun. What do you do in your spare time? What are your hobbies? Where do you like to go, and what do you like to do on vacation? Again, include pictures! Fun Facts: Do you have favorite foods, movies, books, and so on? These may help you connect with the expectant parents even more. Conclusion: Consider thanking the expectant parent for taking the time to read your profile. Be Honest and Genuine: The goal of your adoption profile is to connect with a few expectant parents who think you're terrific rather than a hundred who think you are just okay. In other words, don't worry about saying something that will offend someone. Share information about who you are and what you stand for and what life will be like for your child. Communicate this in a sincere and honest way and you'll connect more quickly with just the right people. Show Genuine Concern for the Expectant Parents. Remember, it’s not about you. Expectant parents aren't concerned about your desire to be parents; they are concerned about what is best for their child and themselves. Be respectful of the fact that they are making a very difficult decision and allow them to make that decision on their own. Tell Stories and be Descriptive. Instead of saying “We love to go four-wheeling,” tell a brief story about your favorite four-wheeling excursion. Instead of saying, “Our dog is good with kids,” describe how your dog acts around children. Your story doesn't need to be long but it should be descriptive enough to paint a vivid picture of your lives. It will make your profile much more interesting. Include Photos. The goal of your adoption profile pictures is to communicate so much information about who you are, and what life for a chid in your family will be like that the corresponding captions and text become redundant, and even unnecessary. Include action photos showing both of you doing the things you love the most. Include a Video: If you really want to stand out, consider creating a video. With a video, the expectant parents can see your facial expressions, hear the tone of your voice, and get to know you on a deeper level than she would from a written profile. Contact your adoption social worker if you are interested in doing this. You can also easily create a video yourself with a camcorder, a tripod, and some simple video editing software. It doesn’t have to look professional, but you want to make sure the lighting and the audio are good enough to make a decent quality video. Have Fun! This can be a fun process that brings the two of you closer together. So don’t look at this as some kind of chore that has to be done. Work on it together and have fun with it! Look for Inspiration. If you are feeling stuck and don’t know what to write, look up some adoption profiles on the internet using a Google search. There are hundreds of adopting couples out there with profiles on the internet, so they shouldn’t be hard to find. Pick out a few that jump out at you and use them for inspiration. Once the home study is approved, and your adoption profile is live for expectant parents to view, the waiting period begins. During this time, your adoption social worker will share your profile with expectant parents. Meanwhile, you are free to market yourselves as a prospective adoptive couple. You are also free to use your adoptive home study in a private adoption arrangement. Network. If you don’t tell people about your hope to adopt, no one will ever know. Talk about adoption and how people can help you grow your family. Tell everyone you know that you want to adopt, and ask them to help share the word. 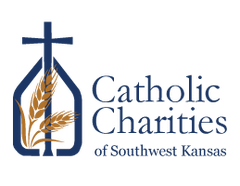 Ask your church and local churches to list your interest and/or profile in their bulletin or newsletter. Send letters to hospitals, doctors, OB offices, etc. Many families do this, however, so find a way to make a personal contact and/or make your letter stand out. Visit your local crisis pregnancy center or maternity home; introduce yourself and share your profile. Look up your local midwives association for email addresses of midwives in your area and send a letter to each. Create and Market Your Online Presence. If you haven't done so already, create an online profile. Online profiles are easy for both you and others to share. Be sure to share the link with your adoption agency so that they can share your profile as well. Create a personal website and/or blog. In addition to your online profile, a blog lets you create personality, and a following to really show who you are as a family. Regular updates and fresh content about your day-to-day experiences also helps your website or blog surface higher in Google searches. It's easy to link your online profile and website or blog for a single unified online presence. ​Solicit Help from Your Adoption Social Worker and Adoption Agency. In addition to getting fresh marketing ideas from people who want to see you succeed, be sure to share your marketing materials and online links with your adoption social workers and adoption agency. They are the ones who are helping to share your story, and they will most likely share your materials, and post your links. Social Networking: If you don't have Facebook, Twitter, Youtube, Instagram, Pinterest or Snapchat Accounts (and even if you DO have them), it's a good idea to create an account specifically for you as an adoptive couple (separate from your personal account). Add everyone you know: friends, family, old schoolmates, and co-workers. Share your hope to adopt. Create a custom cover and/or profile image to remind your friends of your hope to adopt. Post links to your profile on the social media pages of adoption-related agencies that work to match birth mothers with adopting families. You could also post links to your profile on bulletin board pages, such as the regional Buy, Sell, Trade pages that are so popular on Facebook. Make an adoption video and post on YouTube, and subsequently on your other social media accounts and website or blog. Email: ​Add your link in your email signatures and a line that reads "looking to adopt" followed by the link; ask friends and family to do the same. Also, create a mailing list and send out a monthly newsletter via MailChimp or Constant Contact. You could solicit new subscribers from your social media pages, and your website or blog. Create business cards inexpensively at Vistaprint, or Uprinting. Include a link to your profile, a picture, and information like: 'wanting to adopt' or 'wanting an open adoption.' Include your agency contact information. Leave your business cards everywhere: restrooms at movie theaters, hockey games, fast food restaurants, airports, etc. Give your cards to waitstaff, and leave them on bulletin boards, pay phones, ATM machines, etc. Ask your friends and family to do the same. Hang flyers in public places, laundromats, community bulletin boards, and even your own vehicles. Ask friends and family to do the same. Be sure to include contact information. Advertise in the college or high school paper, and other local area newspapers. Post to pregnancy and adoption connect sites and services. Create a wearable button that reads "ADOPT!" in large visible letters. Use any conversations that start as a result of this button as an opportunity to pass out your business card. Look for tips from what others are doing. Pinterest has numerous articles about what other couples are doing to promote their adoption profile. Your adoption social worker will notify you when expectant parents express interest in learning more about you. If requested by the expectant parents, a meeting will be arranged. This meeting will occur prior to the birth, or at the time of placement. This provides an opportunity to discuss what type of communication will be most comfortable for the expectant parents and the adoptive family. Adoptions vary in terms of the amount of time between the selection process and the birth. Fear of the expectant mother changing her mind can be difficult to manage, and adoptive parents often waiver between emotions of excitement and fear. An adoptive couple’s response to this waiting period is unique and personal. During this time, there are some decisions to make and some things adoptive couples can do to prepare. Make decisions about how and when you share the news about the potential adoption. Maintain contact with the expectant mother. Continue to discuss preferences for openness as well as preferred level and means of contact. Work out plans for the birth and hospital stay. Start thinking about baby names. Make decisions about setting up a nursery and which baby items you want to invest in. Make contact with your insurance company. Take an infant care class. Make arrangements for maternity leave. Interview and select a daycare provider. ​Maintain contact with your adoption worker, reach out to friends and family for support, and practice good self-care. Hospital Policy: Every hospital has different policies concerning the adoption process. After visiting with hospital staff the adoption social worker will prepare and inform the birth mother/father and adoptive parents about the hospital policies and procedures. Typically, the hospital will include one of their social workers or care managers in the process to coordinate, in addition to your adoption case manager. Contact your hospital to determine their policies, billing practices. Your hospital experience will be affected by many factors. If you have been selected as the adoptive parent well in advance of the birth, you may be included in the labor and delivery of the infant. For those adoptive parents selected after the child is born, you may still be able to see the infant at the hospital. In most situations, the adoptive parents are given wristbands that allow them access to the new infant. If an extended stay is necessary, hospitals treat you as any other new parent. Most infants are released in the custody of the adoptive parents. Adoption Paperwork: After the birth of the baby, the adoption social worker will meet with the birth parents to complete social histories and sign the relinquishments. Typically, the birth mother and father do this separately from the adoptive parents. Once relinquishments are signed, which may vary by agency, the birth parents no longer possess parental rights to the infant. Note: Some agencies do not complete the relinquishments at the hospital, but do so in court. Discuss any questions with your adoption social worker. Adoptive parents will have paperwork to complete at the hospital in order to accept the infant for adoption. This paperwork will include an adoption agreement and forms that accept placement of the infant. Most forms must be witnessed by a notary. Infant Care: Your infant will receive a number of newborn health screenings. Expect hospital staff to do blood tests, hearing screenings and an initial vaccination for Hepatitis B. You will be informed of all results before the baby is discharged from the hospital. Open Relationship: Your adoption social worker will inform you on what to expect at the hospital, but your interaction with your baby’s biological parents may still be difficult. Don’t forget about the birth mother/father. Many adoptive parents provide a gift for the birth parents at the hospital as a token of appreciation. The birth mother/father will be experiencing many emotions, even when s/he is totally set on the adoption. Be prepared to witness these emotions and advocate for his/her needs as necessary. Though you may be very excited about the adoption and your new baby, it may be best to wait before including extended family members during this time. The relinquishment process may differ from one family to another. Placement may occur without both birth parents signing relinquishment papers, however, these are considered "Legal-Risk" placements. Additional information will be provided during your education and home study process. All birth parent and child medical and social history information will be shared with the adoptive family. Your adoption social worker will be keeping in touch with you after placement. When the court documents---including the petition to adopt---are ready, they will be sent to your attorney. You will contact your attorney to sign the petition to adopt, at which time your agency will receive notice of a finalization hearing date. At the finalization hearing, your adoption petition is granted. The court issues, or finalizes a Decree of Adoption acknowledging the child's change of name, an amended birth certificate and social security card are issued, and the child becomes a legal part of your family. Now it's time to send out birth announcements! 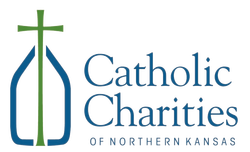 Catholic Charities provides on-going post-placement support whenever it is needed. Click here for more information.